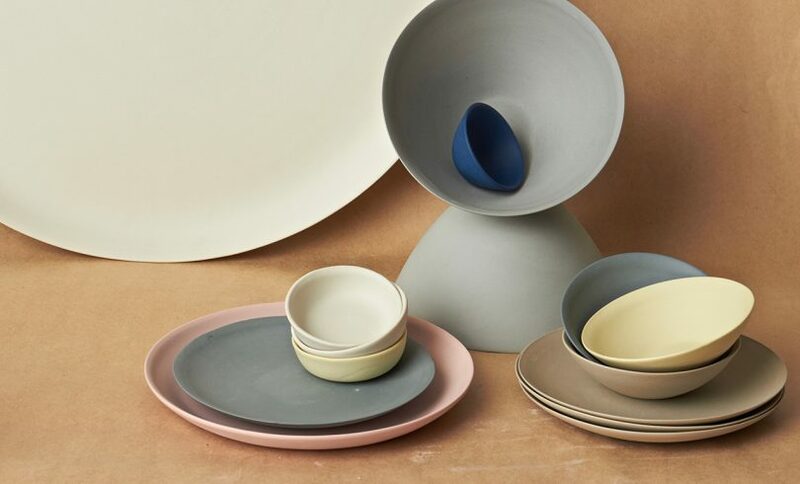 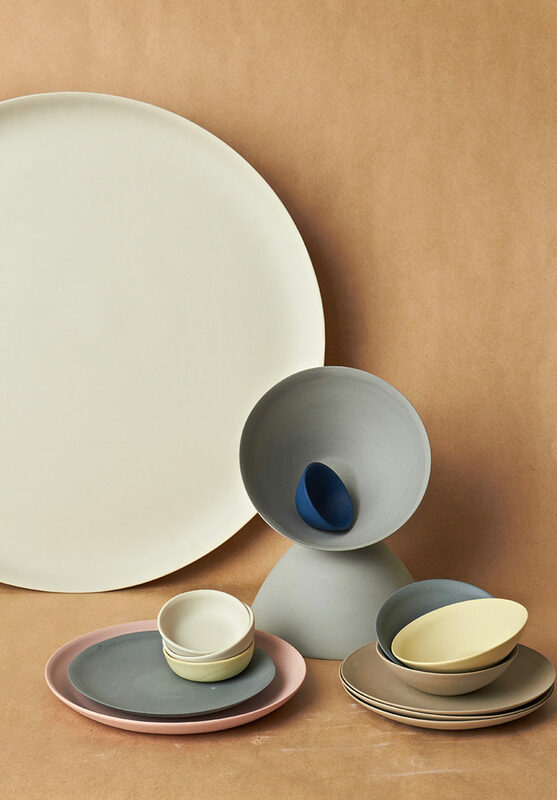 Acclaimed handmade porcelain brand Mud Australia is celebrating 25 years of making with the introduction of an all-matte finish during Salone de Mobile, their first-ever debut at the show. 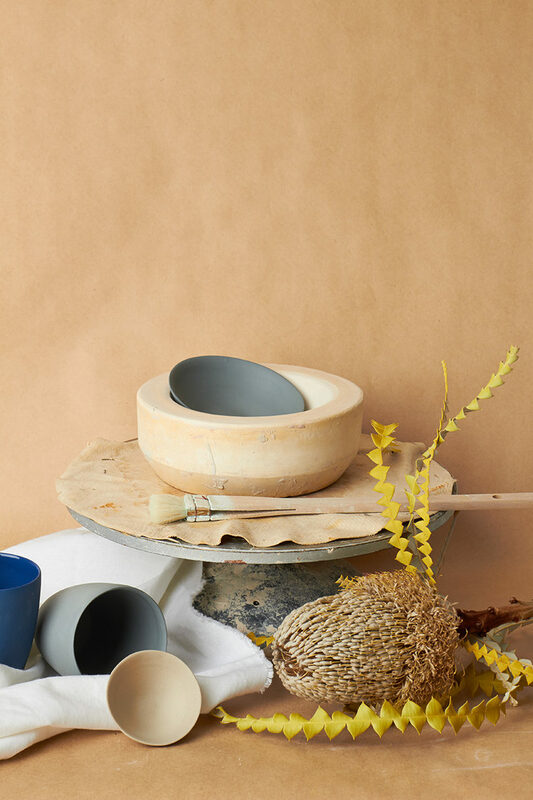 They partnered with Calico Wallpaper and Ladies & Gentlemen Studio to create an installation, Still / Life, that provides an interactive experience exposing the senses to what lies between stillness and life. 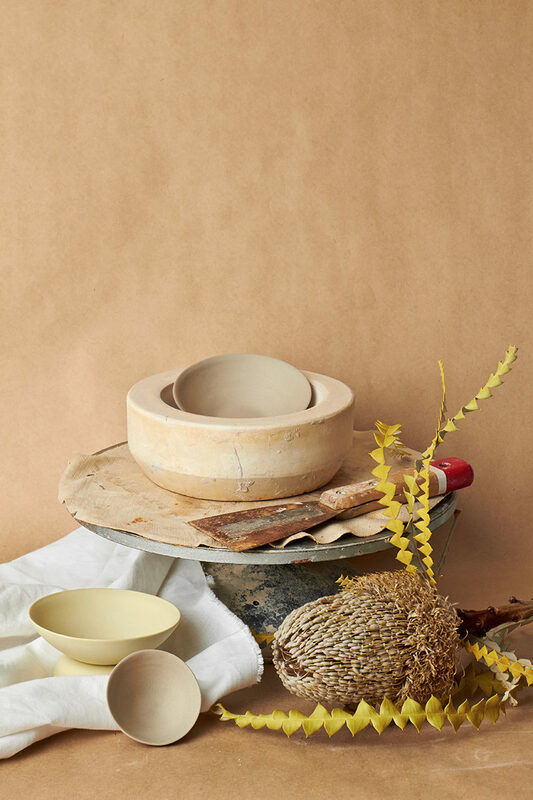 The handmade crafts of Calico Wallpaper and Ladies & Gentlemen Studio, along with nature-inspired colors and shapes, paired nicely with the porcelain ceramics of Mud Australia and their timeless silhouettes and organic calmness. 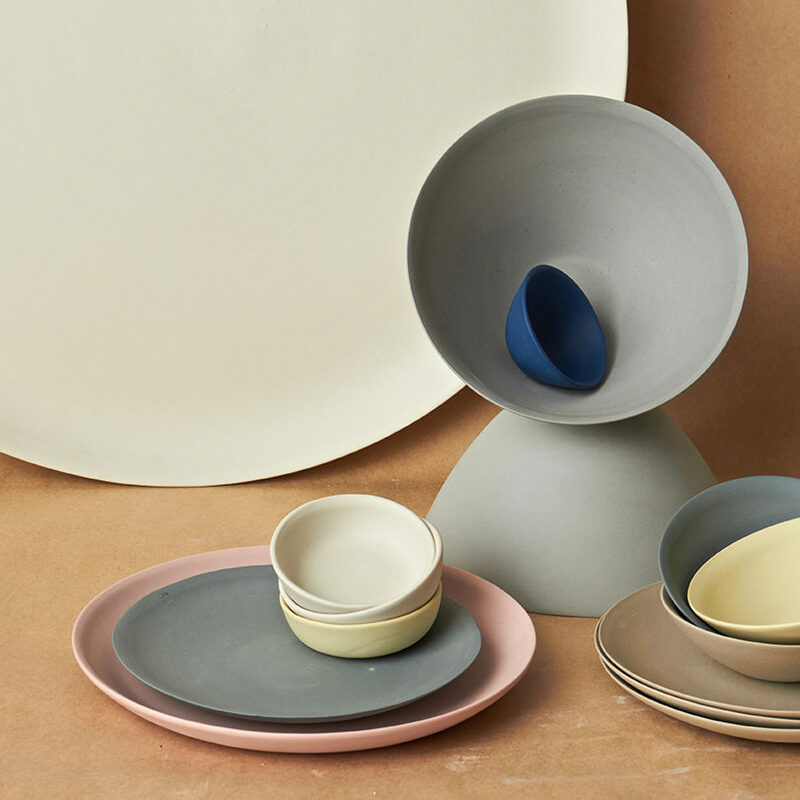 Mud primarily showcased their new series of matte porcelain that offers a more durable finish for commercial use and features an earthy aesthetic through a palette of ink, sand, steel, citrus and milk. 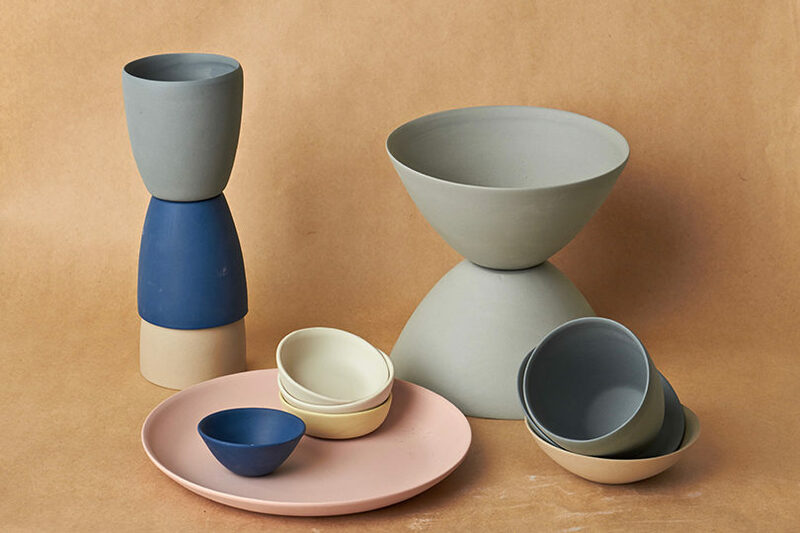 The new all-matte finish interplays beautifully with Mud’s minimal aesthetic to showoff the timeless design and functionality of their pieces.